Many folks have managed to build successful websites, covering topics they are passionate about .Since many folks love movies and TV shows, it is not a surprise to see plenty of sites covering them. IMDb can be your best friend if you happen to run a website about the movies. 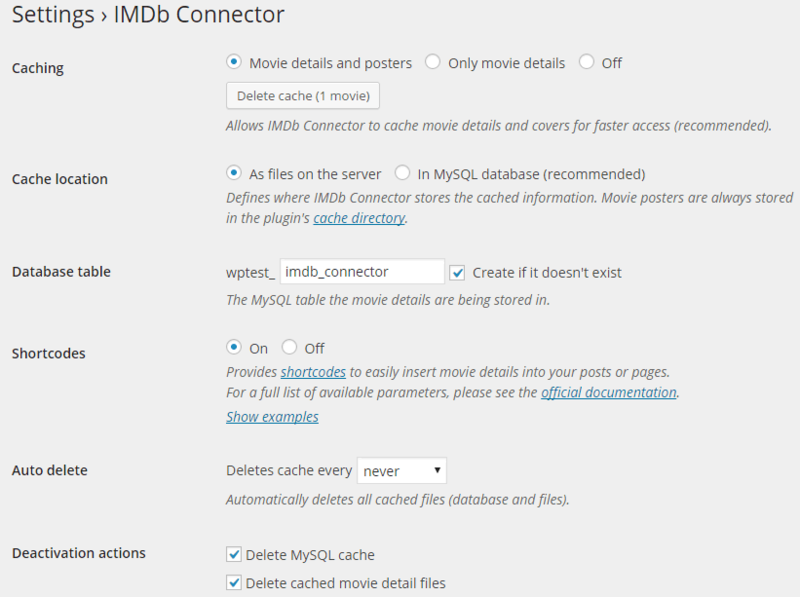 The IMDb Connector plugin is a free plugin that lets you access the IMDb database and add valuable info to your website. IMDb Connector adds widgets letting you display movie details in your sidebar. 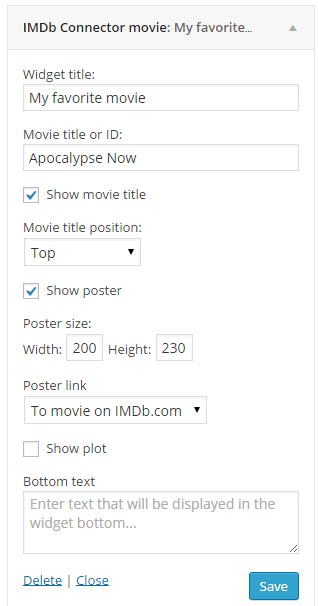 There is also a shortcode to display movie details inside posts or pages. 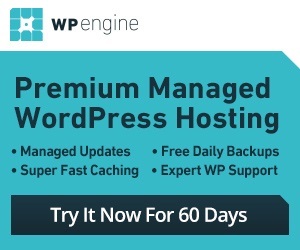 The plugin does offer caching and lets you auto delete cache. You do have the option to cache content in your database. You can also change the poster size for the movies. IMDb Connector is not for everyone, but if you happen to run a website covering the latest TV shows and movies, this plugin can help your cause.